I purchased a Technivorm Mochamaster KBT-741 (Thermal Carafe). This coffee maker with a funny name is one of the best coffee makers I have ever purchased. For those of you who know me, I am...well let's just face it... a coffee snob. My Krups thermal carafe coffee maker finally died. Don't buy the current generation of Krups thermal carafe coffee makers, they are awful. The first cup is OK, and then it goes down hill. If you don't believe me, check the reviews. Anyway, I needed a new coffee maker. I read a bunch of reviews, and looked at a number of machines at various shops, but did not find a good fit. 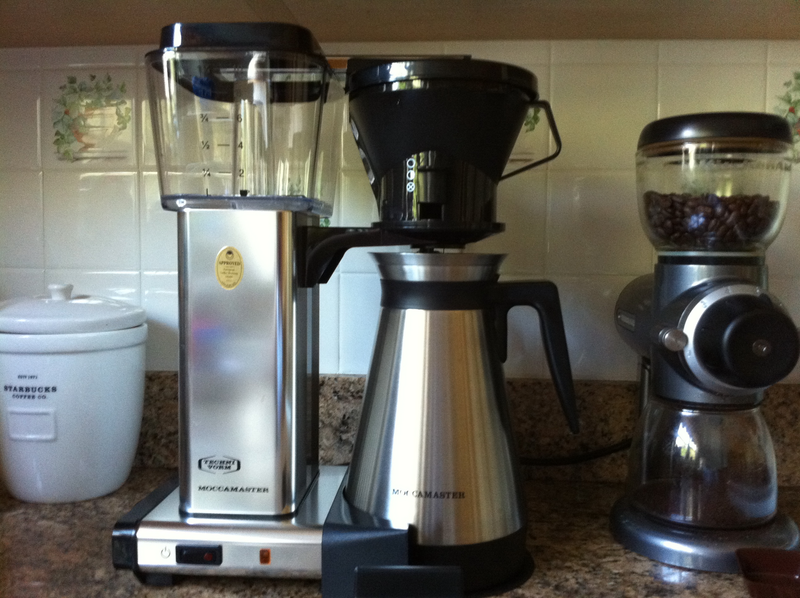 Finally, I called one of the online coffee retailers, and they told me about the Technivorm coffee makers. I had never heard Technivorm, and was a little reluctant to purchase one. I read the reviews on them, and was surprised that I had not heard of them before. Especially with the positive reviews. Unfortunately, there were not many reviews to consider. I decided to bite the bullet and get one. The coffee is stored in a thermal carafe which has an extended fill cap. The cap allows the coffee to fill the carafe near to bottom reducing thermal shock. It has a separate plug for the carafe once the coffee is done brewing, and you expect it to not be consumed immediately. I don't use it often, but a nice feature. The thermal carafe keeps the coffee warm for a long time. The water reservoir and heated water lines are clear. You can see how much water is left, and if the brewer is still on. Automatic brewer cut-off when brewing is complete, or if the carafe is removed from the brewer. Sprinkler head form water injection. This evenly spreads the water over the grounds from proper steeping, and reduces thermal shock. 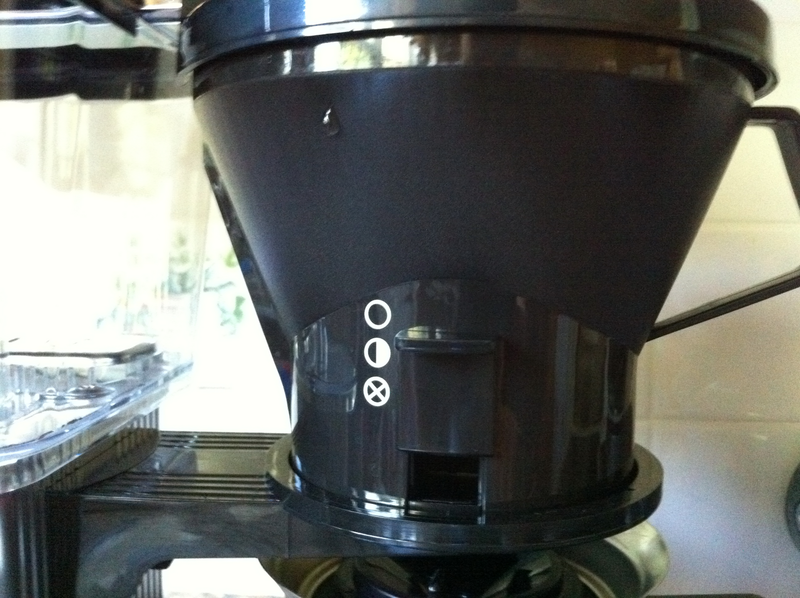 The filter has a closure so that you can fill one cup of coffee while it is brewing. The filter has settings for off, 1-5, or 6-10 cups of coffee to control the steeping of the grounds. The filter can contain the entire reservoir of water including coffee in case it becomes clogged, or you shut it off. This prevents messy overflows. It brews a divine cup of coffee. It does not have an automatic mode to set it to run on a schedule. This is my biggest gripe. It has a lot of parts to clean. If the non-brew plug is in the carafe, it does not fit in the brewer. 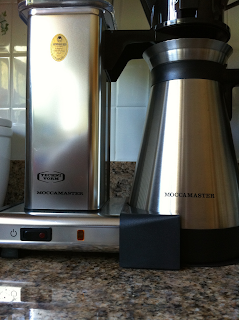 In summary, I would recommend the Technivorm Mochamaster KBT-741 coffee maker to any coffee aficionado. The simple and functional design not only make a fantastic cup of coffee, but can be a beautiful conversation piece in your kitchen.